Our speaker cabinets are hand built in England using redwood pine for top and sides and quality Baltic birch ply for backs and baffles. 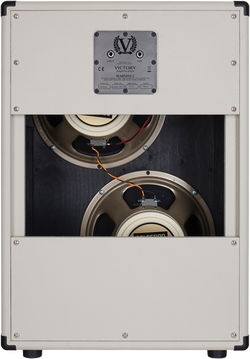 Our speaker baffles are angled back by 12 degrees to help with projection towards you when you’re playing. They’re finished in cream bronco vinyl with vintage black woven grille cloth to match aesthetically – and of course tonally – with our heads. 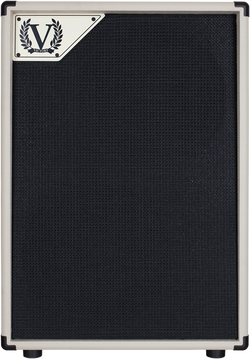 Why choose anything less for your Victory amplifier?